Internet security is becoming ever more important for all of us, including the Combell webhosting customer. At Combell we are persistent in our efforts to take (and keep) the lead in the security of our websites. A perfect example is our new free standard SSL certificates offering via Let's Encrypt. More security means everyone is better off. Let's Encrypt is a security service supported by several major IT companies such as Google, Facebook, Cisco and Hewlett Packard Enterprise. The service offers free SSL certificates. Using SSL (Secure Socket Layer) guarantees a secure connection when you visit a particular website. It ensures that while surfing, the connection between the website and the user is encrypted. It is the administrator of the website who should provide such an SSL certificate and with that to allow a secure connection. Previously, such a certificate had to be paid for. 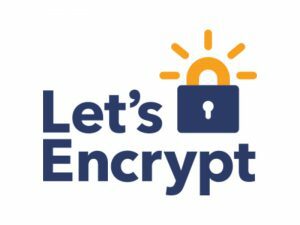 From now on, all the sites Combell hosts on its Linux hosting cluster will get a Let's Encrypt SSL certificate as the standard. In practice, we at Combell are taking care of the integration which controls the API of Let’s Encrypt. We provide the link between a site and the certificate service of Let’s Encrypt. Since we are setting this standard, every Linux hosting account at Combell and the end customers on the websites are even better protected because the web traffic is encrypted. Combell has developed this change to address the service provided by Let's Encrypt. In short, customers do not have to do anything to benefit from it. Why SSL and Let’s Encrypt via Combell? First, there is a definite demand from many of our customers to increase the security of their websites, which are increasingly important for them in their business. In addition, we are noticing some browsers display a warning if certain sites (e.g. e-commerce) do not offer SSL. In that respect SSL is becoming the norm. Third, we know that SEO or Search Engine Optimization plays a role. Websites offering SSL come up higher in the ranking of search results by players like Google. What is more, there are technical motives. We find that many companies consider using the new HTTP/2 protocol for communication between client and webserver. With HTTP/2 traffic between popular browsers and your website travels more efficiently and therefore your website loads faster – the performance improves. And most browsers require SSL to apply that. The decision of Combell to be able to offer Let's Encrypt certificates as a standard to the customers of our Linux hosting cluster (practically more than 80 percent of all Combell customers) should not be underestimated. In Belgium one of every three websites is on our infrastructure. In that sense the internet traffic in Belgium will generally become better protected. Does this mean that we no longer offer other SSL certificates? Certainly not. For professional applications, we recommend the familiar options of Extended Validation SSL certificates from Comodo or Symantec. They are supported for all browsers and operating systems, including quite old versions. SSL is obviously not the only form of security we offer to customers, but it is a part of it. By offering Let's Encrypt we make a further extension of the so-called Combell security shield for our customers, that is the standard protection against the most common attacks that runs along with the individual security measures of their choice. To sum things up, security is of utmost importance in Combell.